You know how all of your friends visit a particular place and talk about it all the time, but you haven’t had the time to try the place out, so you have NOOOOO idea what they are on about? And then, that uncomfortable feeling like you have aged and aren’t keeping up with the rest of the world creeps in. That’s exactly how I felt prior to my first visit to Old Country. Everybody on campus was talking about this bakery and I felt so stale, I just had to visit. It definitely wasn’t my last visit as I’ve been back on numerous occasions. Old Country is a bread lover’s dream come true (and a diet killer on the flip-side). It’s like a bread house serving all kinds of bread; sardine bread, student loaf, family loaf , and even chocolate bread (I have to try that one). 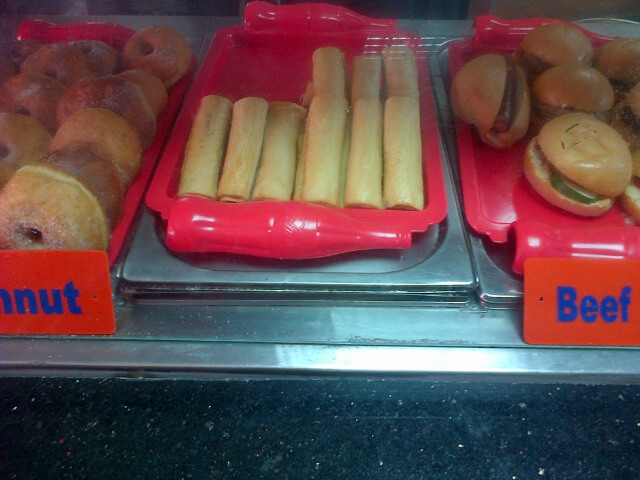 The bakery is located in a really small building structure with a cosy inner setting and ample parking. The inside space is fully air conditioned, however, it gets hot at times due to the heat from all the baking (definitely something they need to figure out). 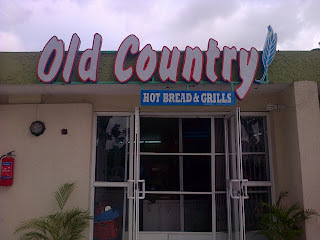 I find Old Country to be more of a pick up and go/chill outside kind of place, especially as there really isn’t much seating available inside. 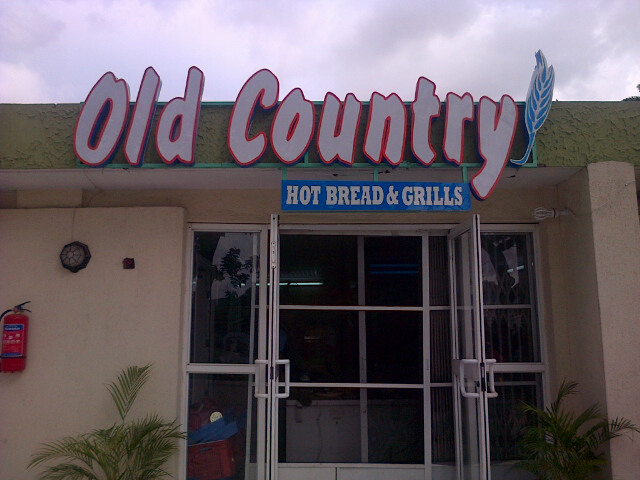 Old Country also serves burgers and hot dogs that taste SO good and are very filling and affordable at #300. Some other “menu offerings” include popcorn and tasty soft serve ice-cream (one of my favs). 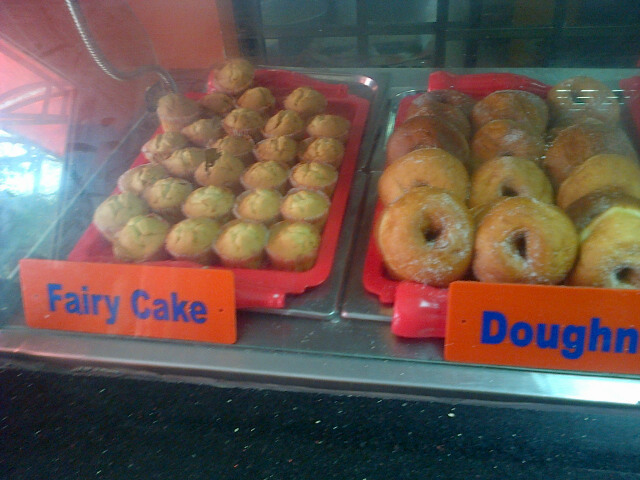 My ultimate favourite, though, has to be the Fairy Cake, which I’ve nicknamed the special Fairy Cake. My oh my! It’s so fluffy; I could eat a dozen. The best part is it cost just #50! Old Country’s prices are very student friendly and affordable. Their staff is quite remarkable; very friendly and always smiling (especially the lady at the counter). The bakery also offers breakfast, delivery and catering services for various occasions including weddings and birthdays. Old Country is definitely worth the hype. Now, it’s your turn to visit and share your Old Country experience! I live on the island , but after seeing this review, i decided o check it out. Unfortunately, they didnt have plenty bread already prepared, but i went for the meat pie which was really good. The attendant was soo polite . i was impressed. Old country is student friendly. keep it up review naija, i always try out places listed. I used to think it was a dream come true, but alas, ’twas just a dream. Their service has become crappy. I asked for some sliced bread at 9am, and paid for them. They offered burnt stale bread which I refused. Came to pick it up @ 3pm and the saucy salesgirl brought burnt, warm bread and laughed that she couldn’t slice it because it was hot- since 9am!!! Must you force me to pay for what I don’t want? Their sardine bread isn't so good tho. The sardine in it is soo small. I am in Love with the fairy cake too.